GWTT’s turnkey approach offers clients schedule-sensitive and regulatory-compliant solutions for their most challenging coal ash projects. We have successfully treated more than 600 million gallons of coal combustion residual (CCR) pond water—bulk surface water and the interstitial “pore” water. GWTT partners with our clients and their engineering teams to address all aspects of the challenges posed by coal ash wastewater ponds. We start with source water characterization and treatability studies, and then work through the design, installation, operation, and maintenance of customized treatment systems—which includes ongoing compliance testing and monitoring. Using our advanced subject-matter expertise in water chemistry, GWTT delivers highly engineered treatment systems specific for total metals, with a focus on the reduction of arsenic and selenium (which are difficult to treat with traditional water treatment techniques) for the required effluent discharge criteria. See our technical data sheet below for more information. Unlike other remediation contractors that outsource large portions of the work, GWTT self-performs substantially all aspects of each project. This vertical integration allows us to offer an unmatched quality assurance guarantee and overall project success. Let us be part of the solution to your coal ash pond closure project. GWTT has managed NPDES permits for clients, collected both system performance and permit compliance samples, and is familiar with the paperwork requirements associated with discharge permits. Our experience with high-profile projects subject to intense regulatory scrutiny makes us ideal partners for complex remediation projects. We have specific experience with CCR wastewaters and active ash pond remediation projects and to-date have treated more than 600 million gallons of CCR wastewater without a permit violation. Additionally, GWTT has a long history of conducting large interdisciplinary remediation projects involving excavation, earthmoving, construction dewatering, storm water management, demolition projects, and construction of large-scale wastewater collection and treatment facilities. GWTT can manage CCR wastewater from “ash to outfall”, including pond decanting, ash dewatering, water treatment, storm water management, and guaranteed performance to meet permit requirements. We have developed innovative and proprietary dewatering systems that adapt to project needs and keep construction crews on schedule. Backing all that up is our in-house treatability laboratory that ensures the right treatment protocol will be identified and implemented. 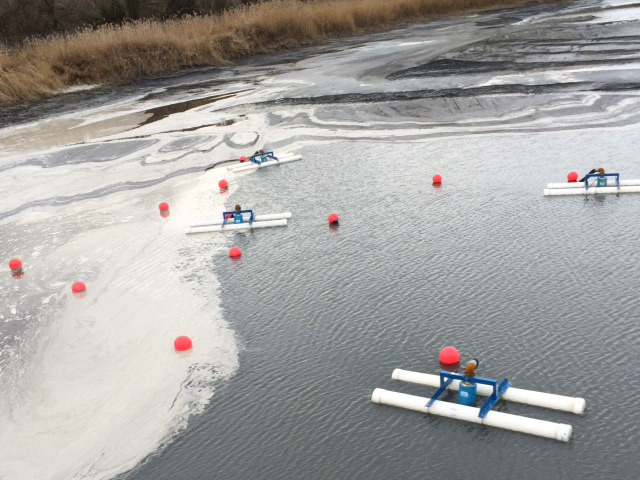 We will use whatever combination of technologies and processes that best addresses the unique contaminant profile of your coal ash pond water remediation project. We have experience treating more than 600 million gallons of CCR water with project-specific treatment systems designed for arsenic, selenium, thallium, and other metals that are difficult to treat with traditional water treatment techniques. GWTT has designed and installed pontoon systems for decanting surface water, collection systems for removing and treating interstitial water, and groundwater collection and treatment systems to carry the project to closure. We have designed and built CCR water treatment systems that handle influent flow rates of 100 GPM to 10,000 GPM. GWTT maintains an extensive inventory of pumping equipment, filtration systems, and treatment technologies that can be easily mobilized to meet the immediate needs of the project, whether it is a clean closure or a close-in-place. Our design team can customize a dewatering system to support the construction team, maintain the schedule, and ensure that the ash stability meets all project specifications. Our technology and engineering team can construct, install, and start up landfill leachate collection systems, to manage dry ash systems, wet ash systems, landfill closure requirements, and other wastewater collection systems throughout the facility. We can design and operate a system to meet the discharge limits as required by permit. GWTT employs a highly-qualified staff of O&M Operators and Technicians with experience specific to CCR water treatment processes. The GWTT approach to system O&M is project specific and carefully evaluated to determine the appropriate level of staffing required, while also being considerate of project economics. 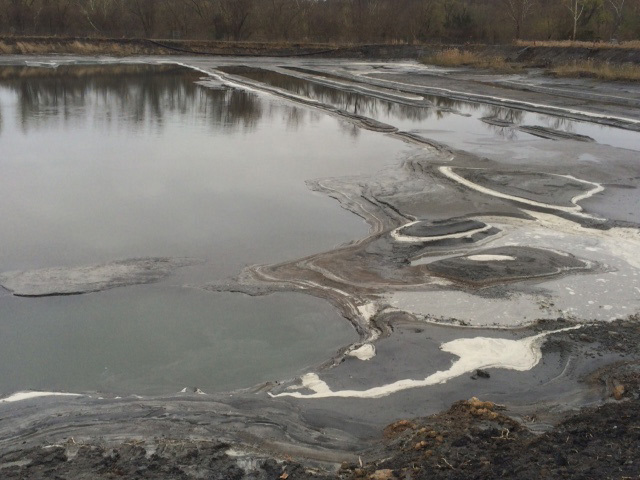 Contact us to speak with a water treatment expert and begin the process of remediating your coal ash pond projects. Click the button below to request GWTT treatment data on CCR pond water remediation.